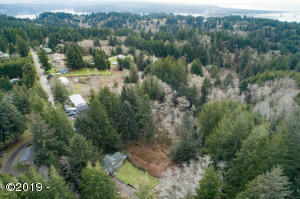 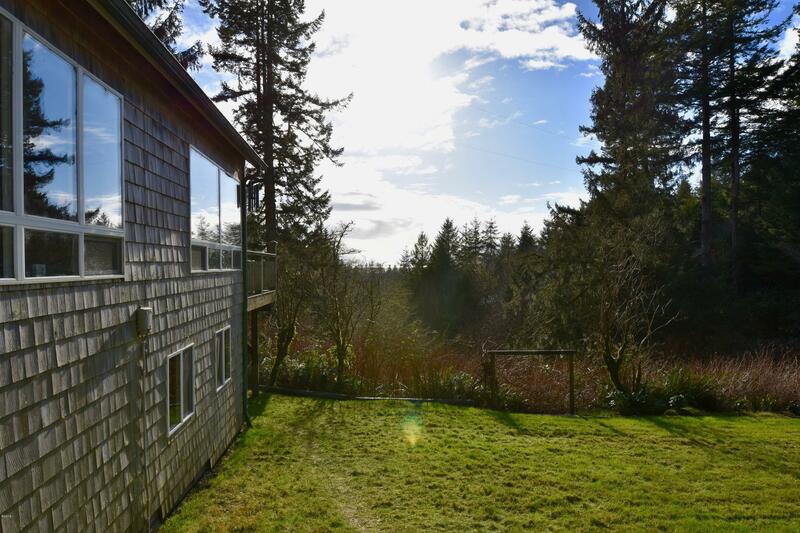 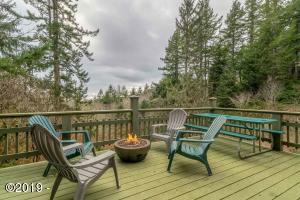 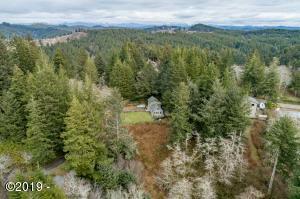 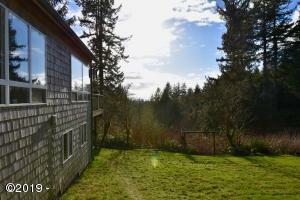 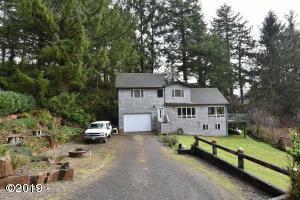 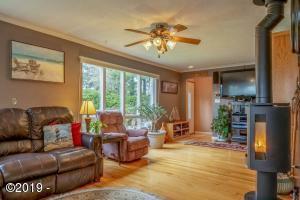 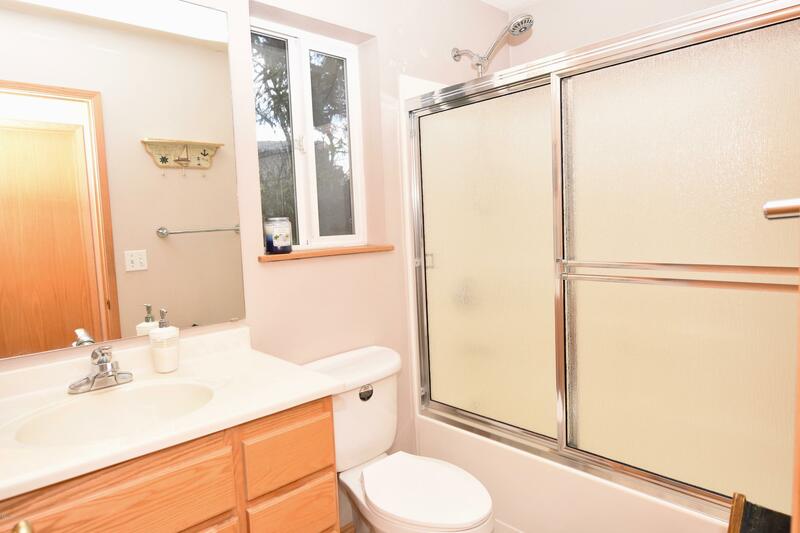 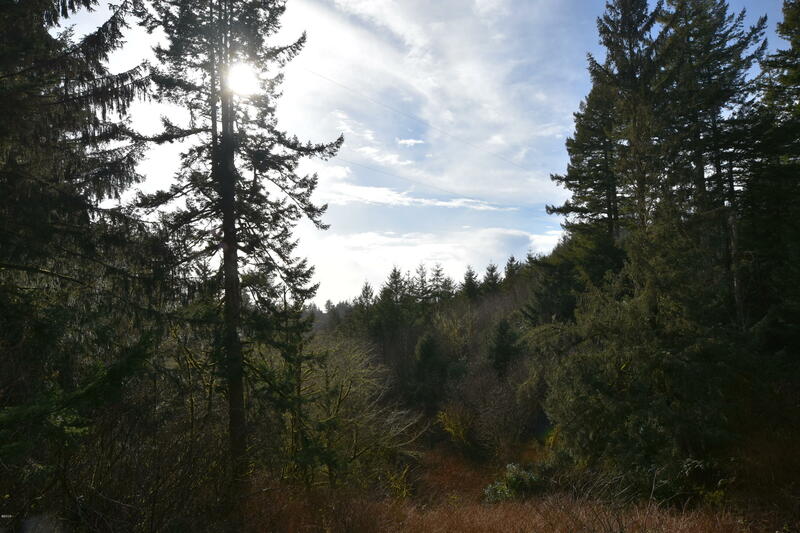 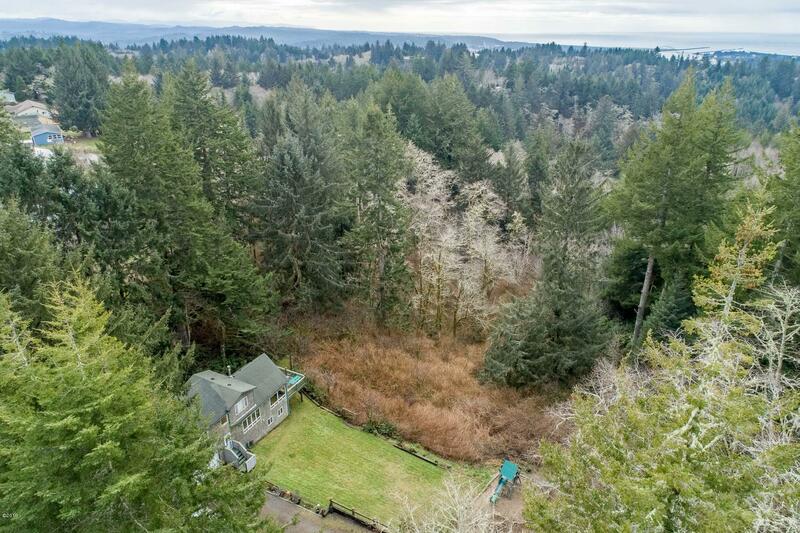 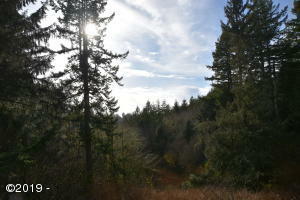 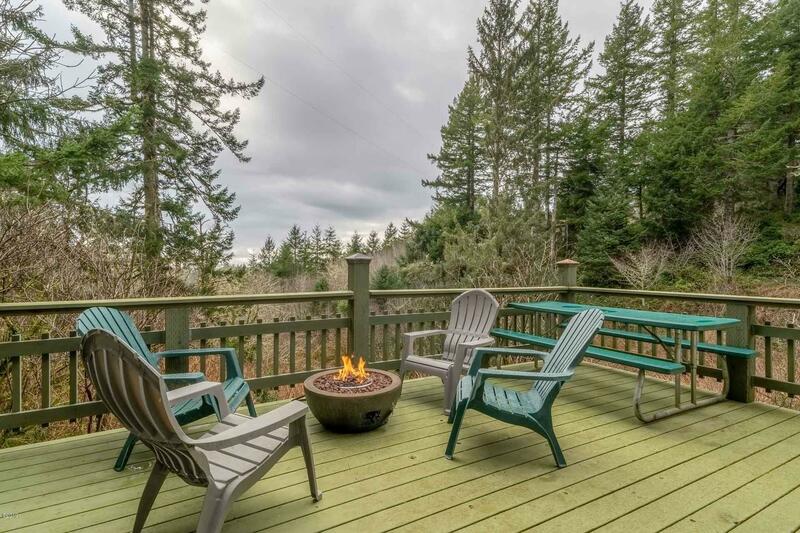 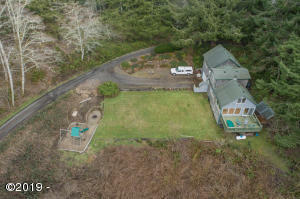 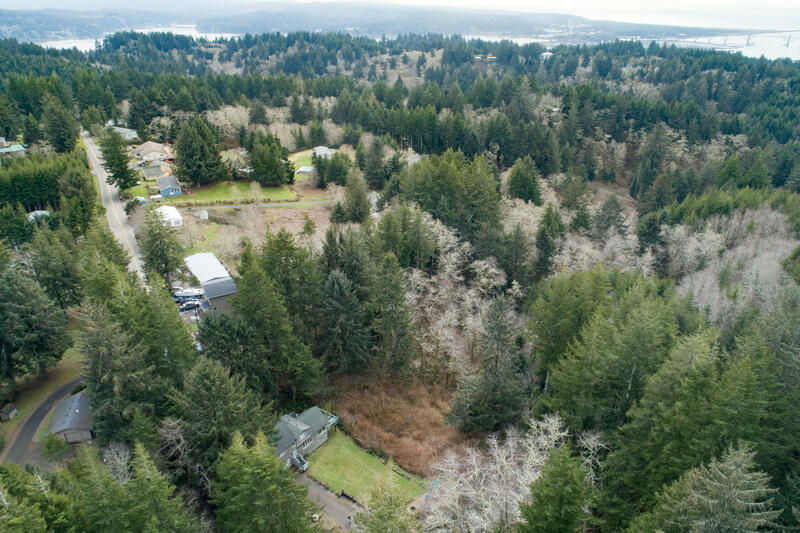 Remodeled home with beautiful distant ocean view and forest on 1.25 Private acres, just outside Newport city limits. 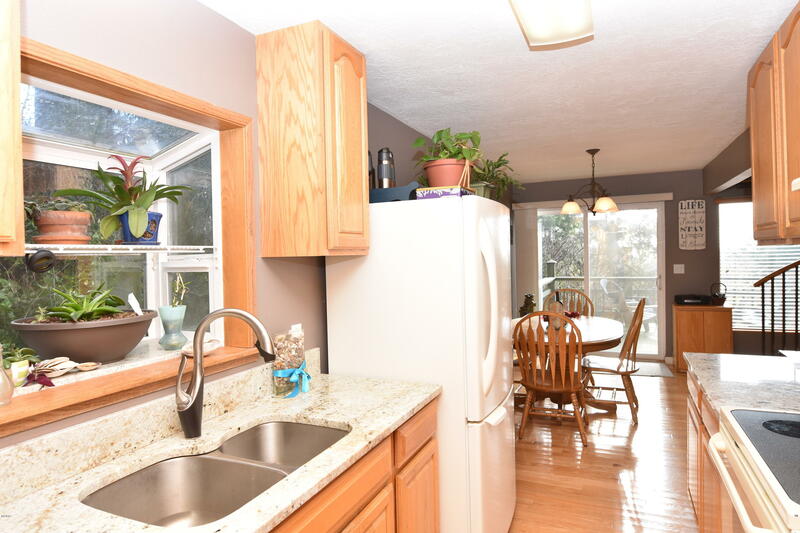 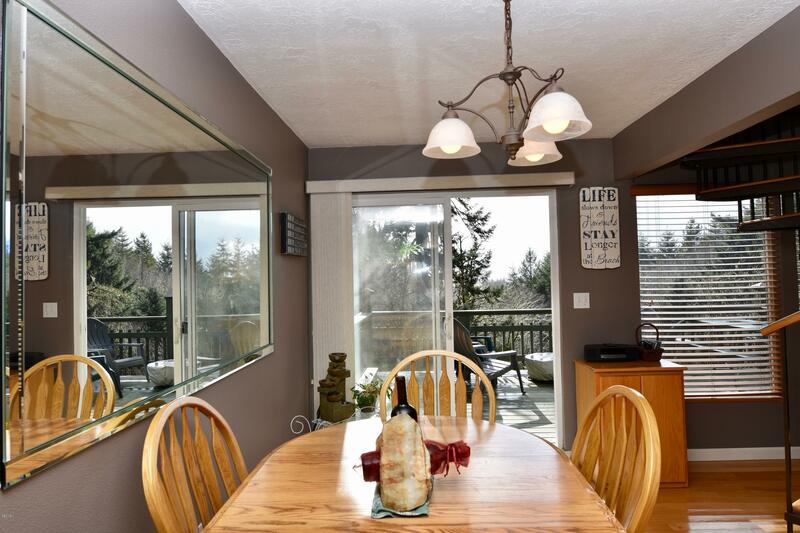 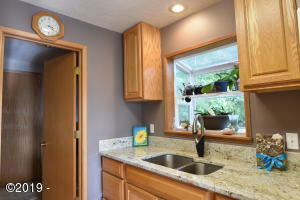 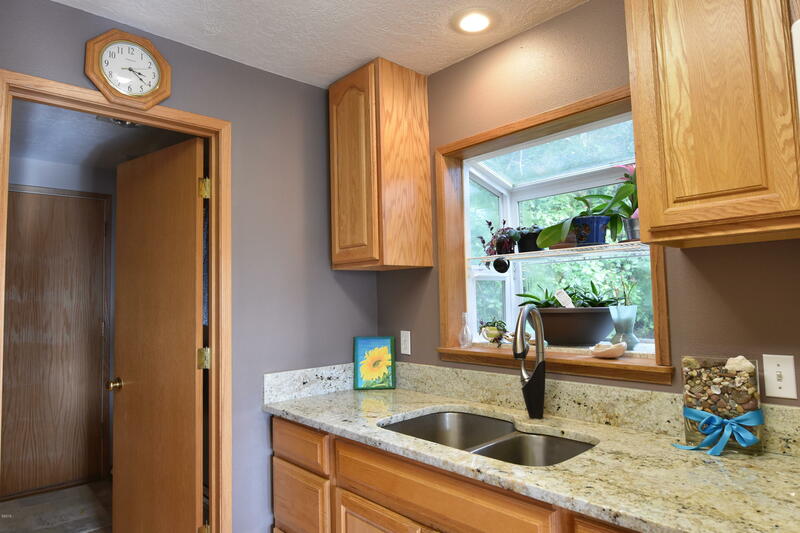 Recently updated kitchen with beautiful granite countertops, oak cabinetry, wine rack and a sliding door to enjoy the beautiful views from the deck. 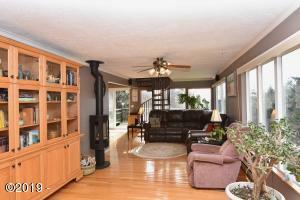 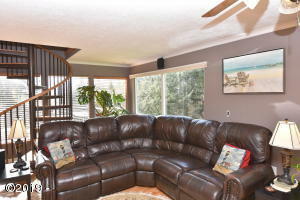 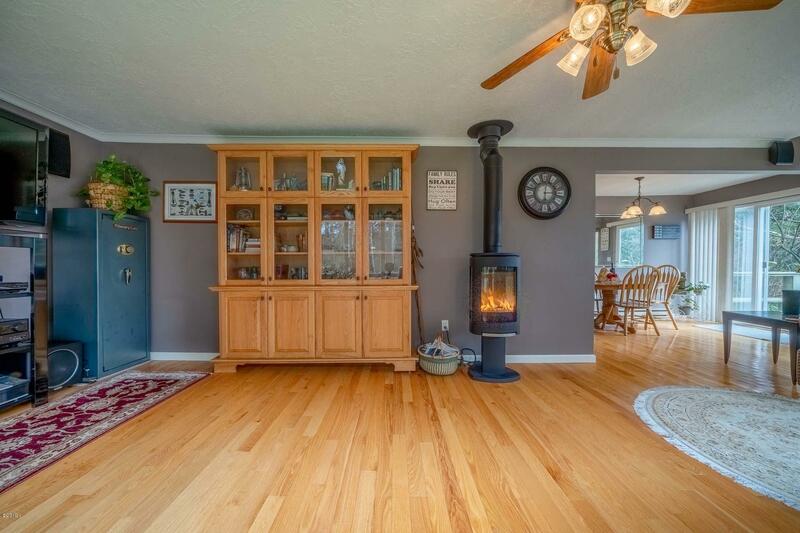 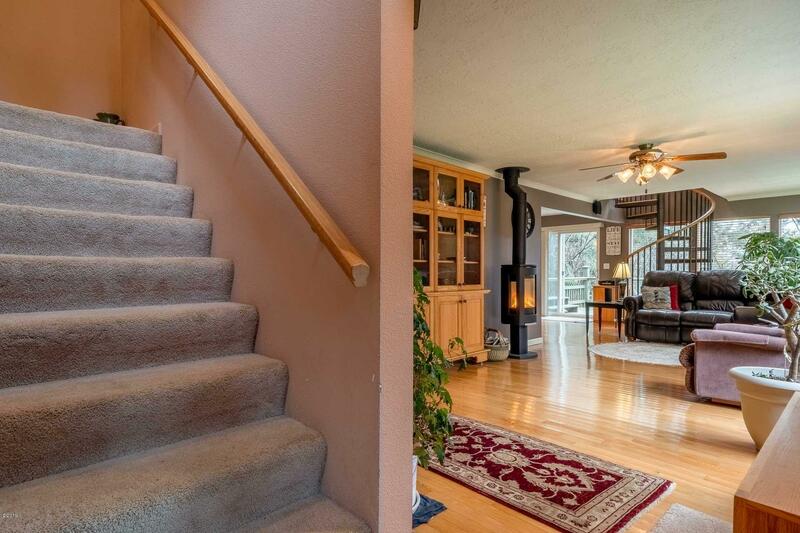 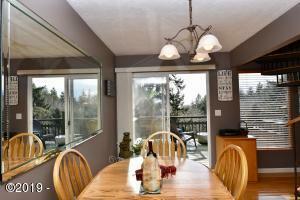 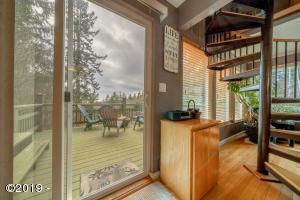 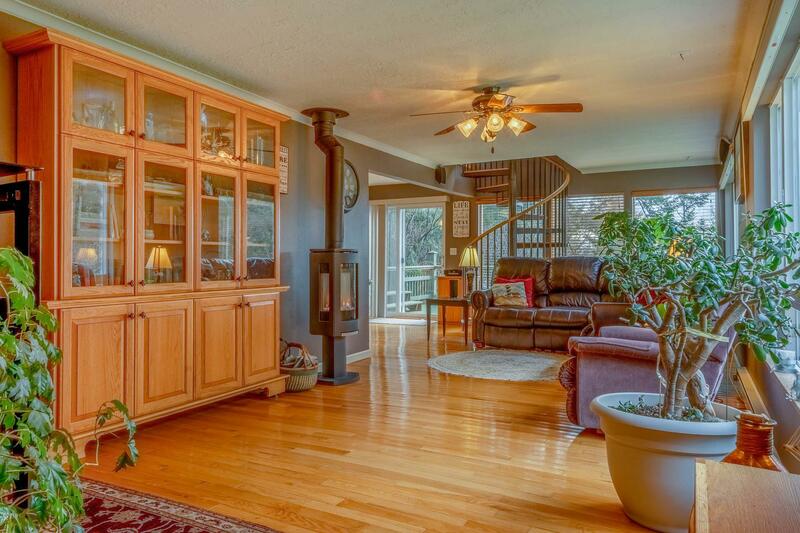 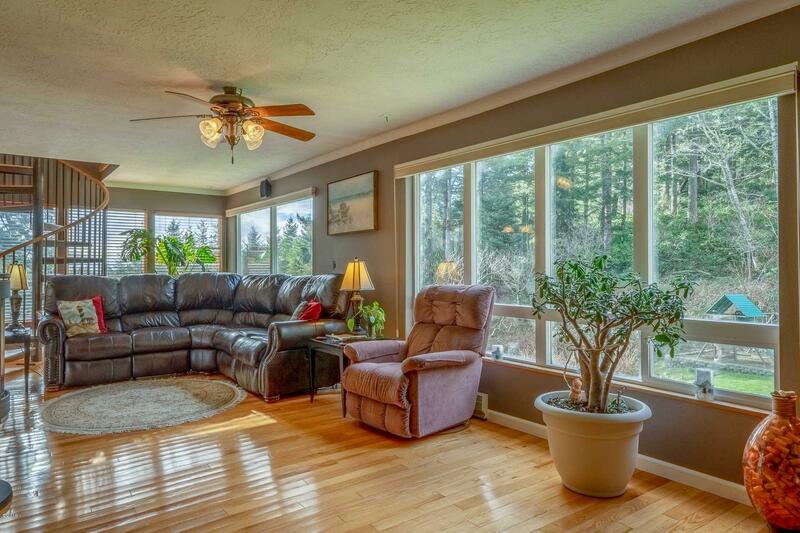 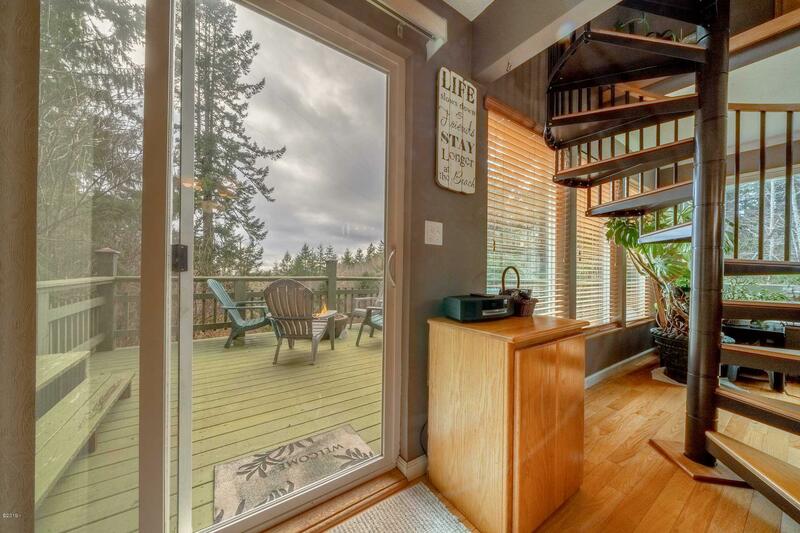 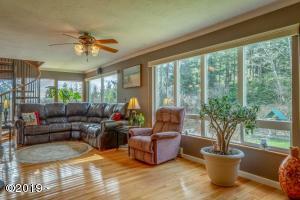 Bright living room with hardwood floors and a cozy gas fireplace and a wall of windows to enjoy the forest views. 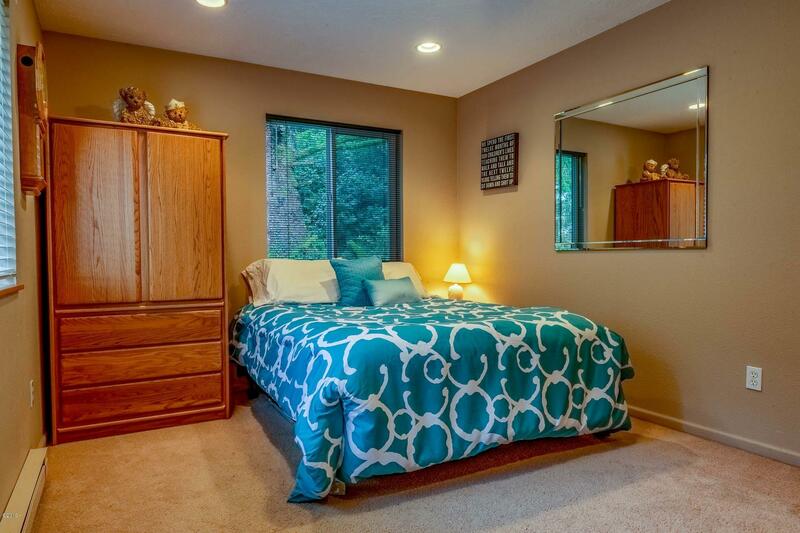 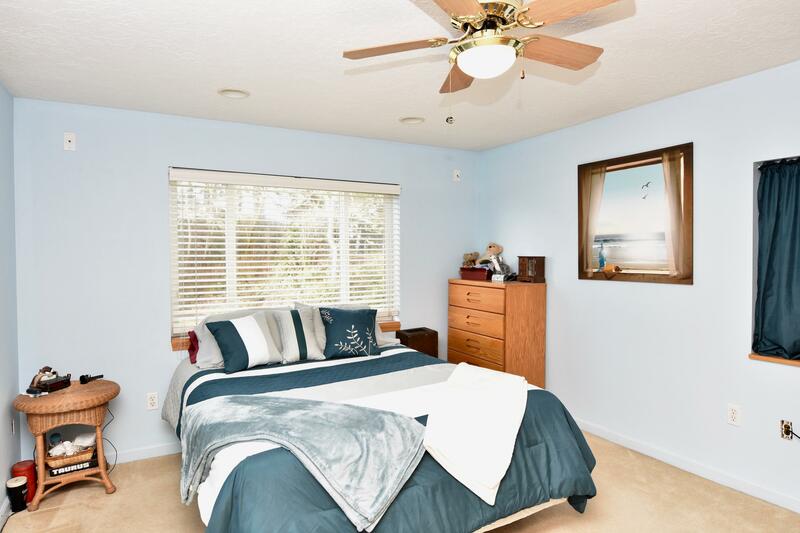 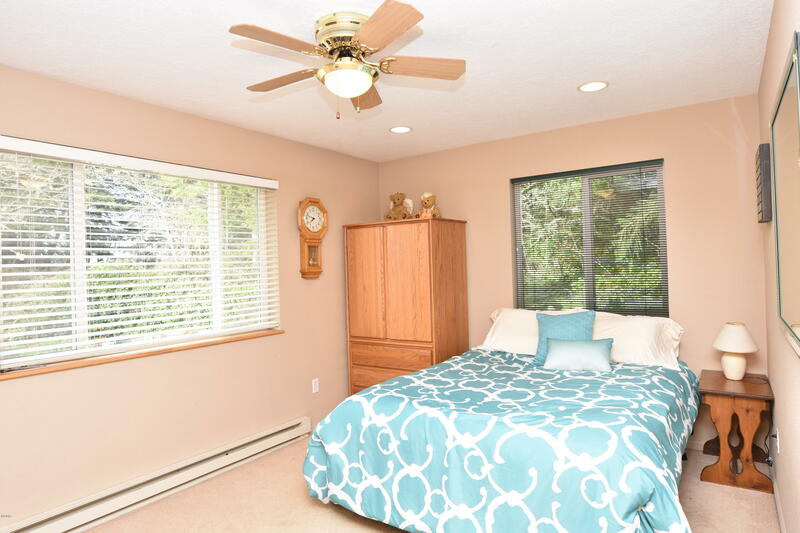 Master bedroom with walk-in closet and attached bath and a ocean view loft used as an office. 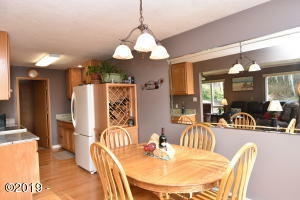 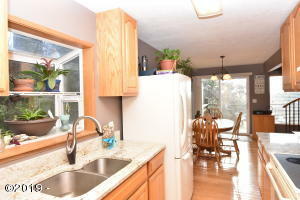 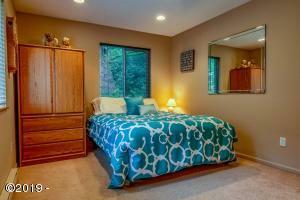 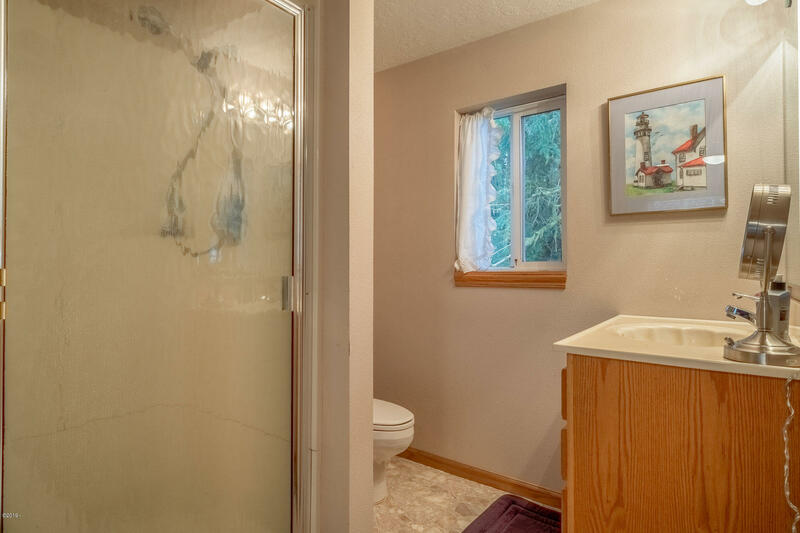 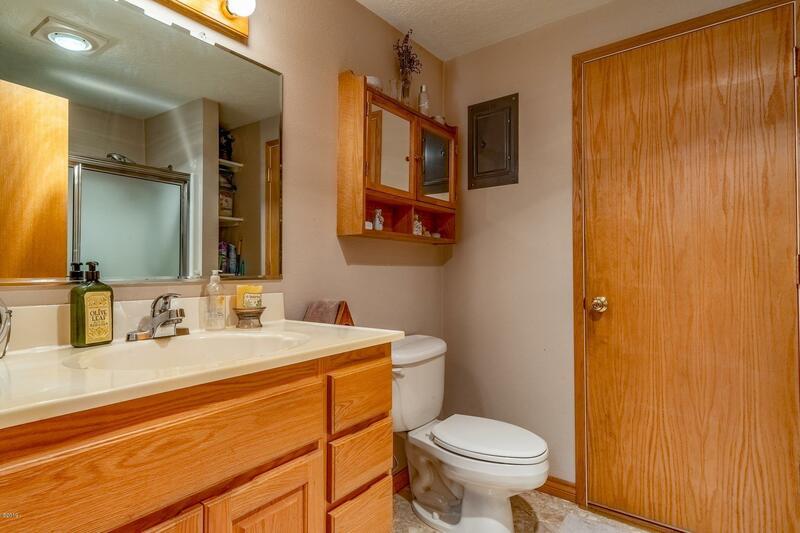 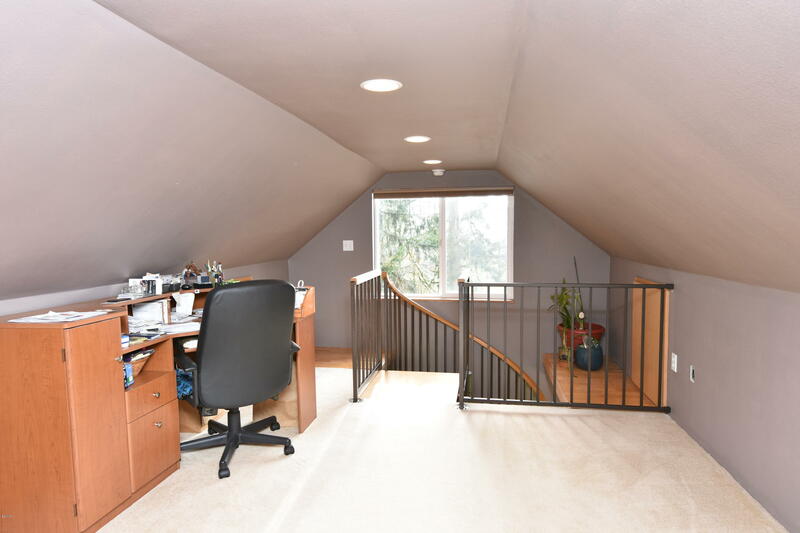 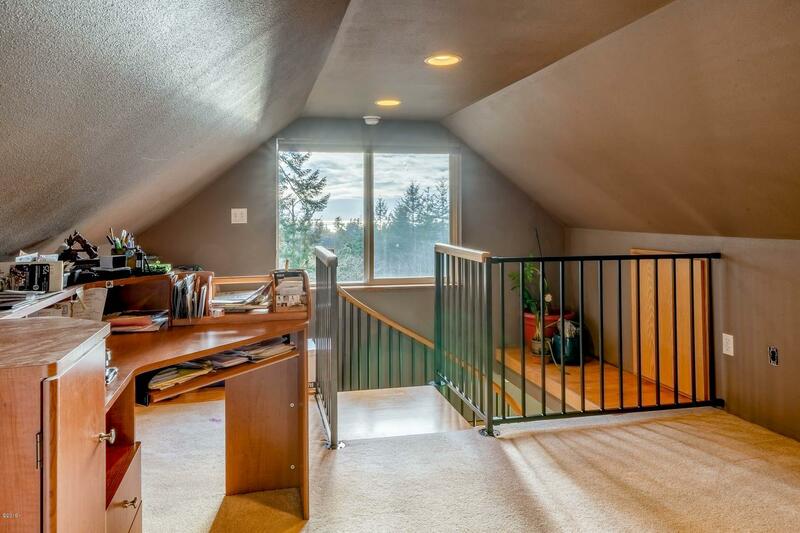 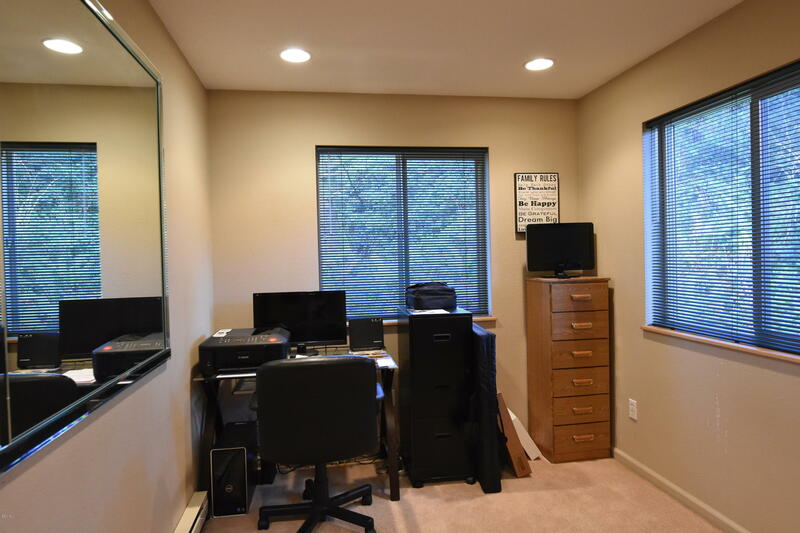 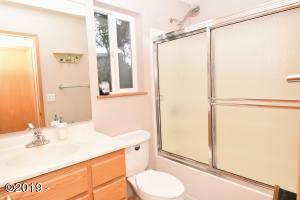 Above the two car garage you will find a spacious second bedroom with a secondary office or den and another full bath. 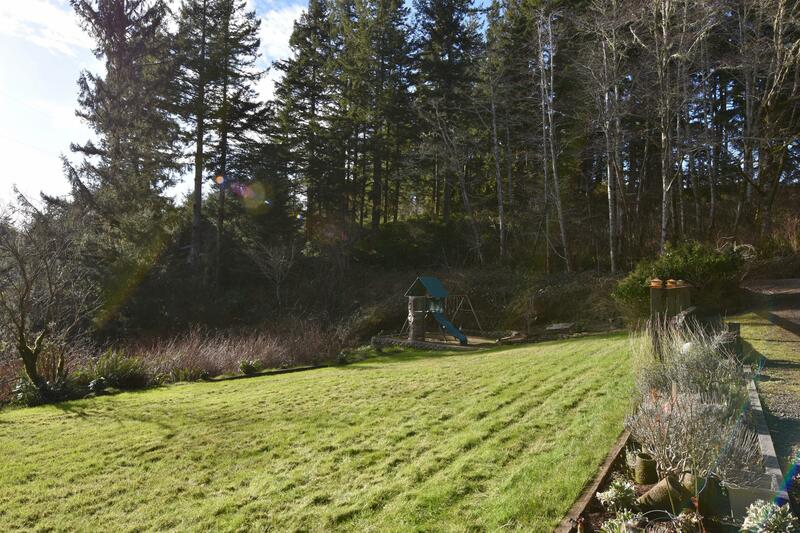 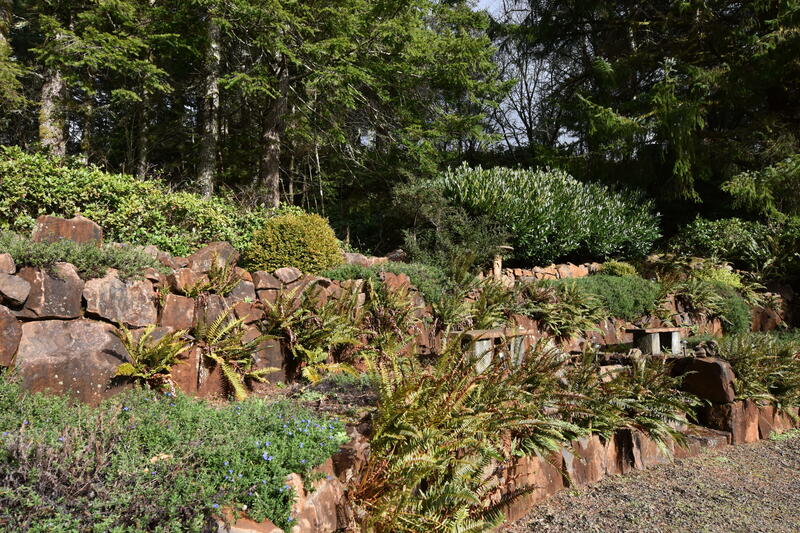 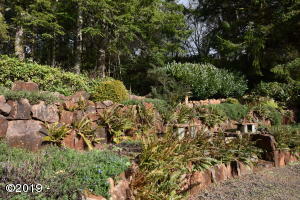 Wonderfull rock wall and some garden beds add charm to the secluded location, large nearly flat lawn with lots of room to play and enjoy the Oregon coast weather. 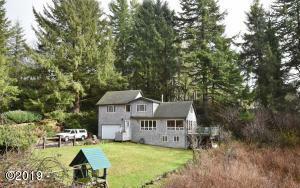 Detached small shop/boat house. Detached shop/boat house was added just a few years ago and provides extra parking and storage. Outside city limits on well and septic where the taxes are lower and the weather is warmer! 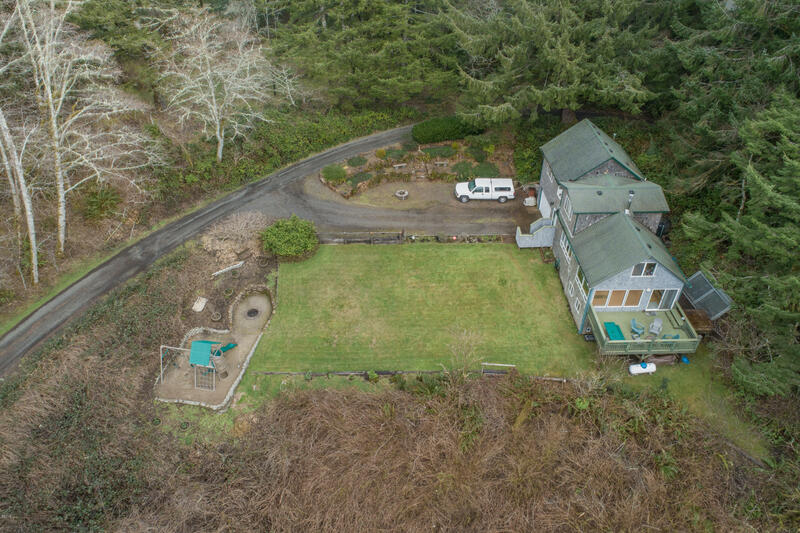 Directions Take NE Yaquina Heights Drive, at the water tower turn North on Newport Heights Dr. Home is near the end, first home on the left after road turns to gravel. 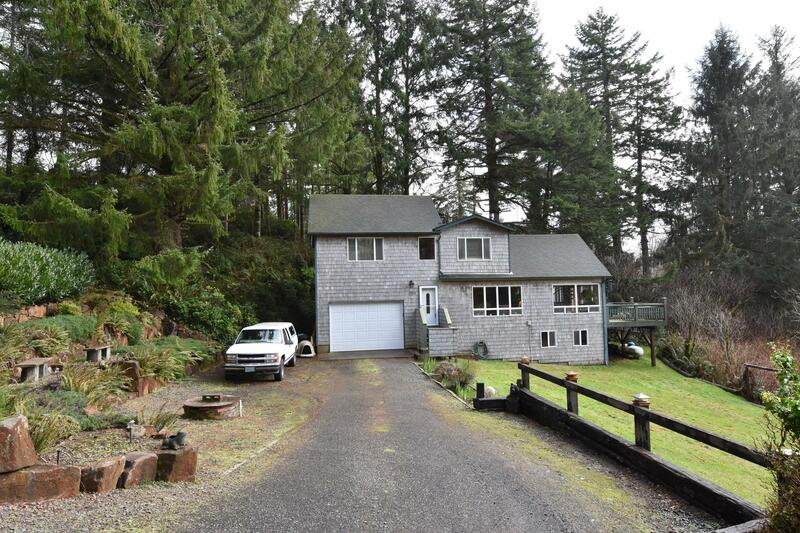 Easiest to pull past driveway and back in. 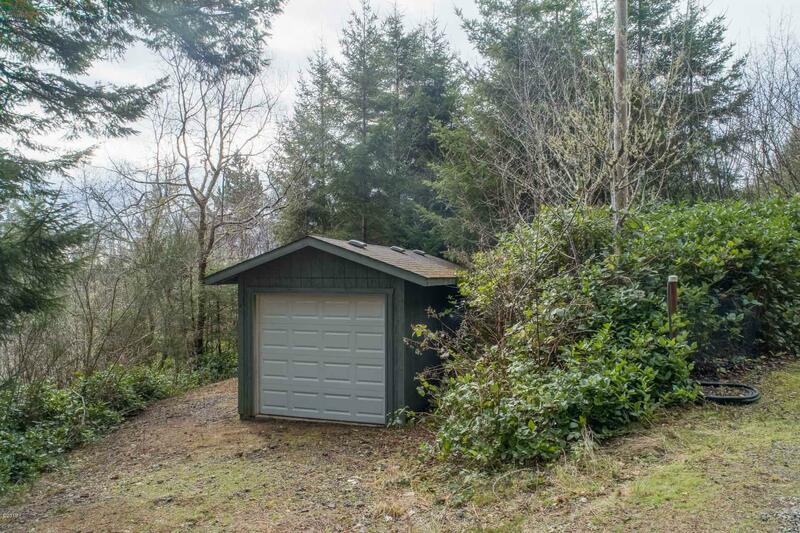 You can also drive up to the Detached shop 1/8 mile further up the road and park then turn around when leaving, It's easier to do this than turn right if you don't have all wheel drive, or park above.